Carphone Warehouse, a UK-based mobile phone retailer, was recently the victim of a cyber-attack that may have resulted in over 2.4 million of their customers having their information accessed. The company reassured that a “vast majority” of customers were unaffected by the attack; however, the cyber-attack and subsequent breach has caused some concern among certain divisions of the company. The specific divisions of the company affected by the breach operate websites such as OneStopPhoneShop.com, e2save.com and Mobiles.co.uk. Additionally, up to 90,000 customers may have had credit card details breached, according to a statement given by the company. Dixons Carphone, the owner of the retailer, has apologized to its customer base and has said it is informing anyone who may have been personally affected by the breach. The company has also stated that is giving advice on how to reduce the risk of further repercussions from the attack. Credit card use brings with it a certain risk of being more vulnerable to these kind of attacks, as credit cards are a service of financial institutions. Services such as these give consumers a convenient method of storing and transferring money in a way that eliminates the burden of physical currency. This convenience, of course, is a benefit to many who operate within the traditional financial system that demands money that is fungible for paper currency. However, such services also come with disadvantages, such as the use of central databases that hold personal information like names and addresses linked to account numbers. This information is necessary to account for the money that is exchanging hands. When these financial institutions and intermediaries are subject to cyber-attacks by malicious agents, they are given easy access to potentially millions of people’s personal information. The traditional financial system has built into its foundation a sense of trust. A trust that the their currency will back its worth as a “legal tender” with the full faith and credit of the issuer. A trust that transactions will be secured by institutions who help to facilitate exchange without compromising personal details. Personal details that hold information that acts as a key that gives them command of their money, which if breached, could very well leave them penniless with no means of recourse. The digital age has now brought us closer to a trustless society, where interpersonal action is no longer built around trust in central institutions. Before the digital age, consumers would largely make decisions based on the trust they had in the people they were doing business with, or trust in a government that swore to protect them from harm. Now, people can base their consumer choices on more symmetrical information that is given to them by other consumers through the advent of things like online reviews. 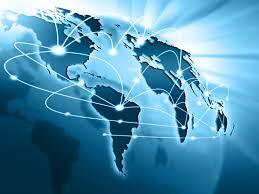 Bitcoin is a product of the digital age, and has come to emulate this trustless inclination as a trustless currency. Bitcoin is a peer-to-peer currency that operates on a digital platform and a decentralized payment network. Cryptocurrencies can be used to buy and sell things like any other currency, but it is in the securing of transactions where Bitcoin and other cryptocurrencies separate themselves from more traditional forms of payment. 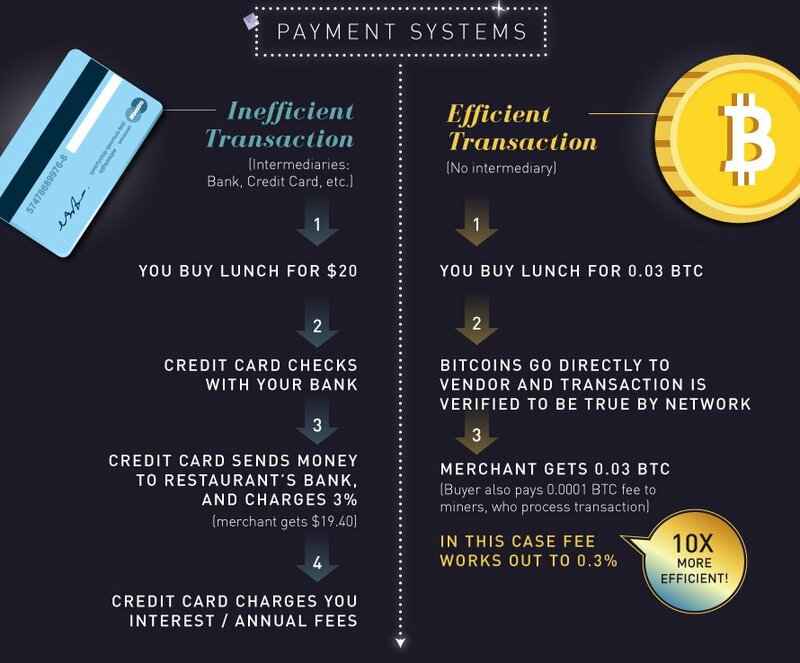 Unlike with fiat currency, where payments pass through different intermediaries before being finalized, a payment through Bitcoin acts more like a cash payment where the transaction involves only the direct participants in the exchange. Learn how to get your first Bitcoin wallet! The payment process is accomplished by a decentralized network of computers handled by people known as miners. The miners compete with one another to solve algorithms that encrypt the transaction that hold a bitcoin user’s private key, which provides a proof of ownership. After they solve the algorithm, the transaction is put in a ‘block’ and verified by a certain number of people where the payment is finalized after being recorded onto the “blockchain”. It is through this decentralized network that allows consumers to engage in trade without revealing their personal information. When performing a transaction, it isn’t necessary to provide any personal identification, because the addresses that are used are anonymous and change with every transaction. The decentralized nature of Bitcoin makes it so that there is no need for mediating institutions. Consequently, there are no central databases that hold people’s personal information and money, which makes it much more secure to use. In a financial system that uses Bitcoin, there would be no risk of breaching personal information, because there would be no information to breach. Essentially, Bitcoin has eliminated both the burden of physical currency and a need for trust, and at some point in the future could make both credit cards and credit card information obsolete. What do you think about bitcoin’s potential to make credit cards obsolete? Let us know in the comments below!